In this study, we describe a novel and rapid method for the construction of a full-length infectious clone (pPPV). The constructed clone contained an engineered EcoRv site that served as a genetic marker and was shown to be infectious when transfected into a monolayer of PK-15 cells. The rescued virus (rPPV) of the infectious clone was found to be indistinguishable from wild-type virus BQ in terms of its biological properties. The generation of this PPV infectious clone provides a potentially powerful tool with which to elucidate the molecular pathogenesis of PPV. Lingling Zhang and Dou Gao contributed equally to this work. This work was supported by the Agricultural Science and Technology Innovation Program (ASTIP-IAS15), National Natural Science Foundation of China (NO. 31172349 & NO. 31172341) and the National Key Research and Development Program of China (No. 2016YFD0501003 & 2017YFD0502300). This article does not contain any studies with human participants and the animals studies was approved by the Science Research Department (in charge of animal welfare issue) of the Institute of Animal Sciences, Chinese Academy of Agricultural Sciences (IAS-CAAS) (Beijing, China). 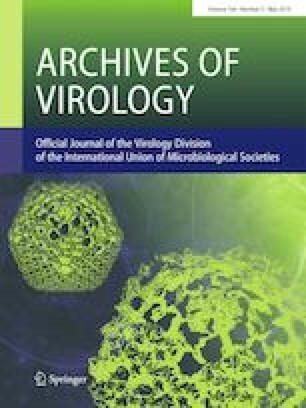 The author unanimously agreed to submit the manuscript to Archives of Virology.